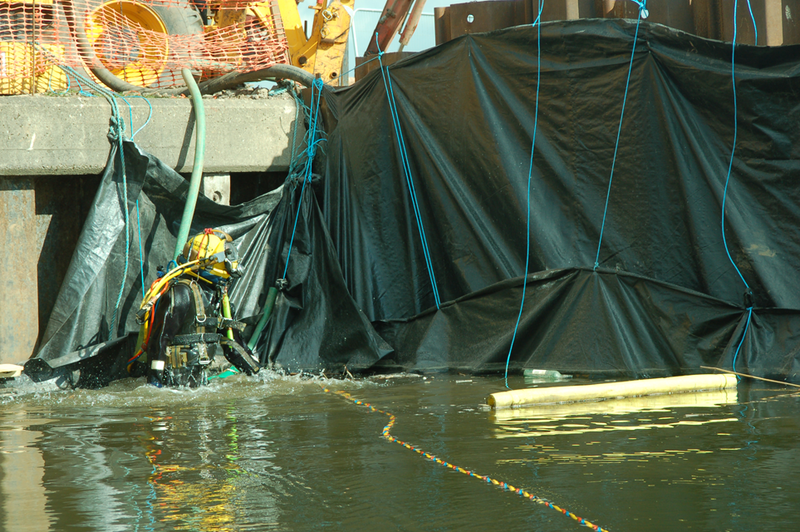 CDMS Diver establishing a bespoke solution for the containment of water during construction works beside a large water course. 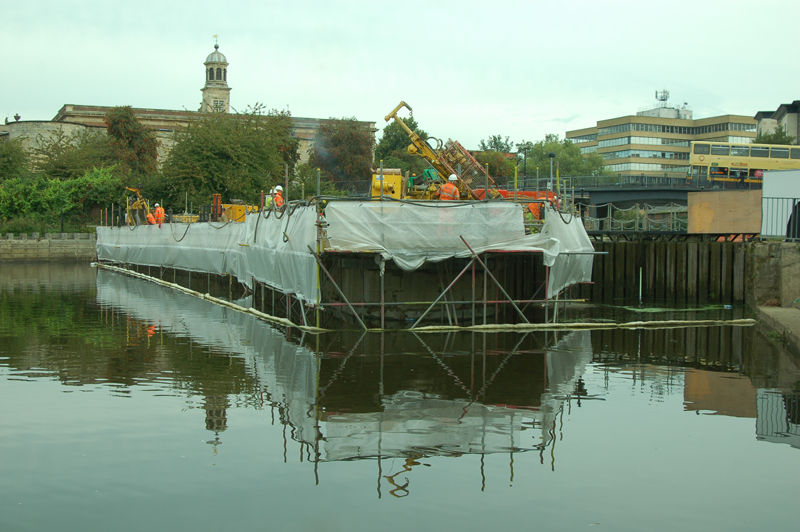 A combination of large bulk bags of aggregate and Larsen piles with a waterproof material membrane established the required conclusion enabling works to be safely and productively completed. within the Civil Engineering Industry. 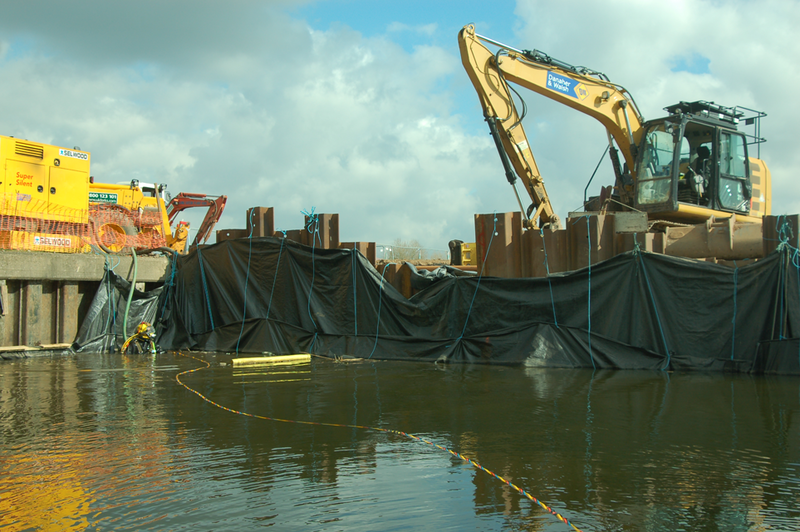 CDMS divers were required to establish a container support wall of formwork to aid in the capture and containment of the grout based compound used in the operation to re-establish a firm foundation for the lock island section. 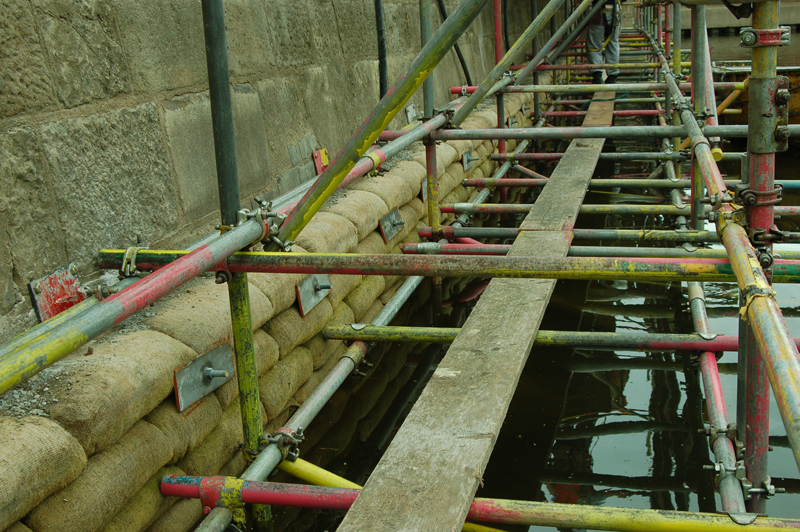 Leveling of the bed material to establish a firm foundation for scaffolding around the structure was then implemented. The lock Island structural integrity was deemed questionable, after and underwater surveys and core samples taken identified major voids throughout the main structure. 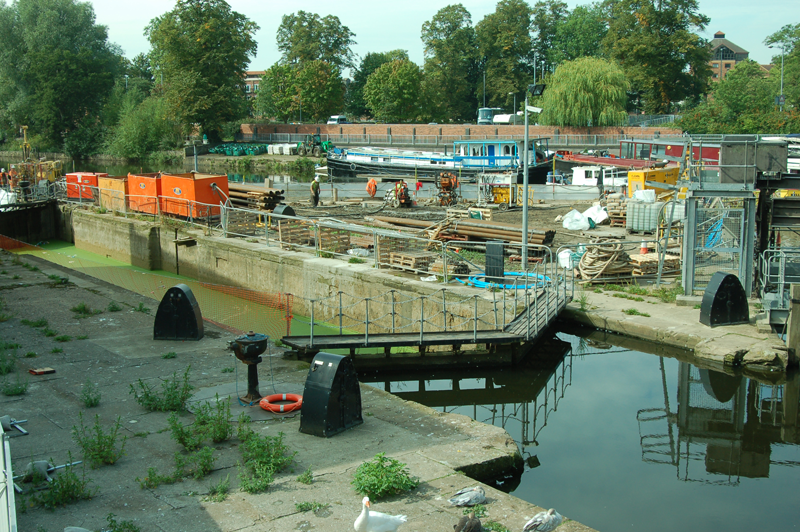 Formwork and supporting scaffold enabled the structure to be repaired throughout, this also enabled CDMS to re-establish the lock islands exterior in keeping with its periodic identity. 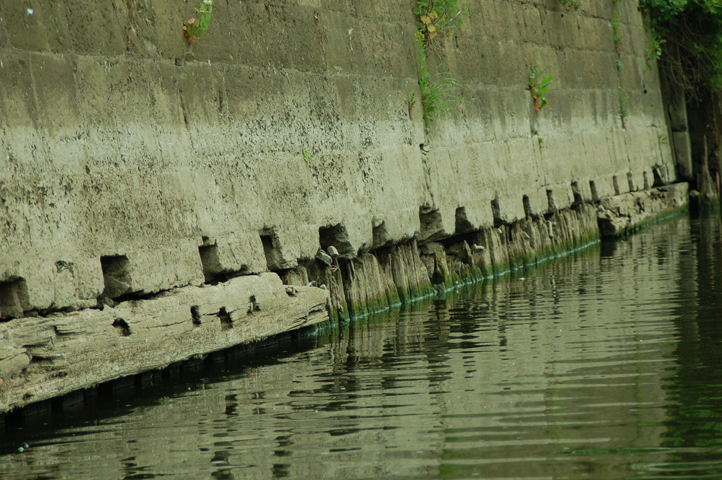 Structural Damage along the water course is generally more severe at water level we find salt, a mild acid, lowers the pH in the concrete. The acidic reaction attacks the concrete paste and aggregate, increasing the pore size and allowing additional water and chemicals into the concrete which can exacerbate the freeze/thaw cycle damage.